The principle product is Intragam®P, prepared from New Zealand donors' plasma. This is available in all DHBs. The alternative product is Privigen, a commercial immunoglobulin obtained from Europe. It is intended for use nationally as an alternative intravenous immunoglobulin for patients who are not able to tolerate Intragam®P. Privigen is also currently available for short-term use (less than 3 months) from NZBS-managed blood banks only. This is explained in a letter from NZBS's National Medical Director and in the October 2015 Blood Issues newsletter. The principle product is Evogam®, prepared from New Zealand donors' plasma. This is available in all DHBs with prior authorisation from an NZBS TMS. The alternative product is Hizentra®, a commercial immunoglobulin obtained from Europe. It is intended for use nationally as an alternative subcutaneous immunoglobulin for patients who are not able to tolerate Evogam®. Please contact an NZBS TMS to discuss Hizentra®, if needed. The only non-specific intramuscular product is Normal Immunoglobulin, prepared from New Zealand donors' plasma. This is usually for hepatitis A and measles prophylaxis but is occasionally used as a replacement immunoglobulin for hypogammaglobulinaemia. Hyperimmune immunoglobulins are also pooled immunoglobulin concentrates but with a known level of activity against a named virus or protein. Hyperimmune immunoglobulins prepared from New Zealand donors' plasma are Anti-D, Hepatitis B Immunoglobulin, Tetanus Immunoglobulin and Zoster Immunoglobulin. 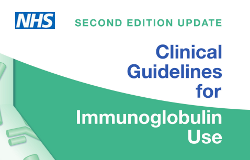 Other hyperimmune immunoglobulins are available as Section 29 products.